I really like how you composed this photo. 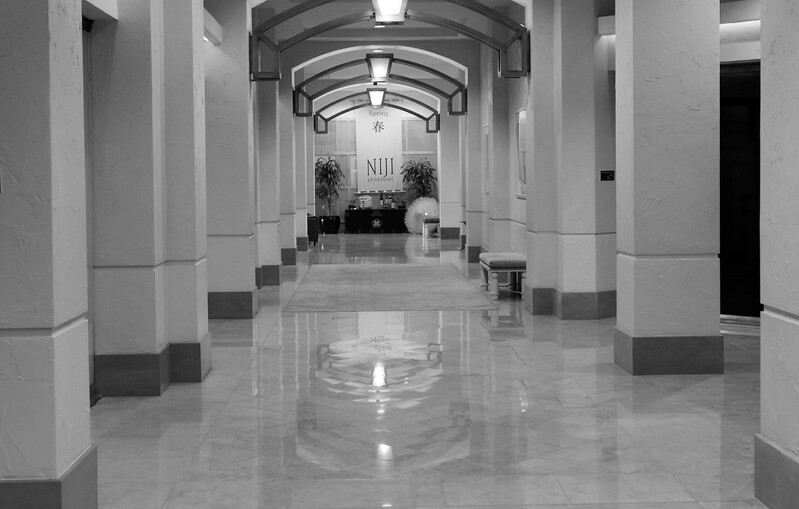 What a nice black and white capture, I love the long hall and the reflections on that shiny marble floor. Great black and white capture, excellent perspective! Beautiful in black/white and the reflections resemble water ripples! Wonderful use of repetition and great light and reflections! Great POV and nice reflections in the gleaming floor!